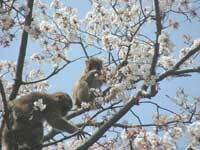 A care taker section in Primate research institute, Kyoto University (KUPRI) was established in 1968 and was expanded into care and health management section in 1969. 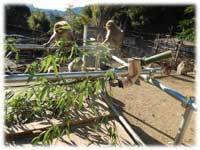 In 1999, CHEMR was established from the care and health management section with doubled faculty members, and in 2009, the number of nonhuman primates exceeded 1000. 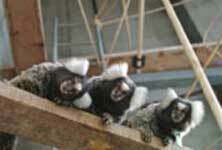 Now, CHEMR is responsible for the care, bleeding and health management of the nonhuman primates in KUPRI and faculty members, staff and students are working in a coordinating fashion and conduct various studies from molecular to individual to colony level. 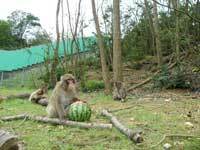 Primate Medicine and Welfare Group focuses research on spontaneous diseases, animal welfare, anesthesia and pain in nonhuman primates. 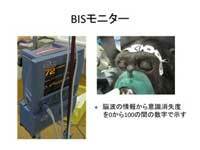 There are many situations that require anesthesia in research and management of nonhuman primates. 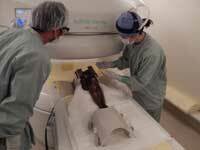 Especially, some surgeries such as craniotomy in neuroscience research are invasive and requires long duration of anesthesia. From animal welfare point of view, high quality anesthesia is required to minimize pain and distress in nonhuman primates. Intravenous anesthetic, propofol has high controllability and when used in combination with analgesics such as fentanyl, precise control of anesthetic depth and duration is possible based on pharmacokinetics and preferably used in neurosurgery in humans. 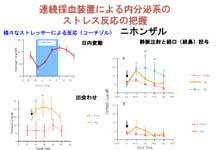 We established population pharmacokinetics model of propofol in Japanese macaques and now working on the model in marmosets. We are also working on pharmacodynamic models using EEG monitors. 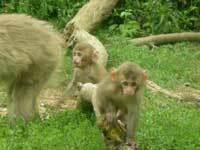 Nonhuman primates tend to hide pain to survive in their group. 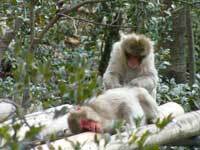 Therefore, it is very difficult to assess pain in nonhuman primates. We try to assess their pain using the facial expression and behavior. 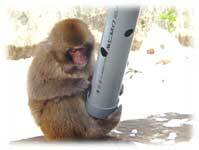 We use the clinical cases and observe macaques in pain by injury or surgery. We try to avoid giving experimental pain to them.